In 2012, the American Diabetes Association reported that 29.1 million Americans, or 9.2% of the population, had diabetes compared with 25.8 million (8.3%) in 2010. Worldwide, and estimated 165 million people had diabetes in 2010 and that number may reach 330 million by 2025! More importantly, 8.1 million were undiagnosed in 2012 vs. 7 million in 2010. The prevalence of type II diabetes among seniors in America (>65 years old) in 2010 was 25.9% (11.8 million), including both diagnosed and undiagnosed. What is most alarming is the growing rate of diabetes among our youth (younger than 20 years old), which affects approximately 208,000 Americans (about 0.25% of that population) with an annual incidence rate of 18,436 with type I and 5,089 with type II diabetes. The list of problems that can arise BECAUSE of diabetes includes (but is not limited to) hypoglycemia (low blood sugar), hypertension, high “bad” blood fat (LDL cholesterol), cardiovascular disease-related deaths (1.7 times higher), stroke, blindness/visual problems, kidney disease, and amputations. In 2013, the total cost associated with diabetes in the United States was $245 billion ($176 in direct medical costs and $69 billion in reduced productivity). What can chiropractors do about this? First, we can help get the condition properly diagnosed. Symptoms such as numbness/tingling in the hands and/or feet may be related to diabetic neuropathy, and these symptoms often drive the undiagnosed diabetic patient to our clinics. Other common symptoms that “look like” a typical chiropractic complaint include limited joint motion, stiff hands, muscle pain, shoulder capsulitis, osteopenia, tendonitis, osteoarthritis, carpal tunnel syndrome, and more! A simple urine and blood test can identify whether diabetes is part of the problem, which we may be able to conduct in the office or refer you to your primary care physician, if necessary. 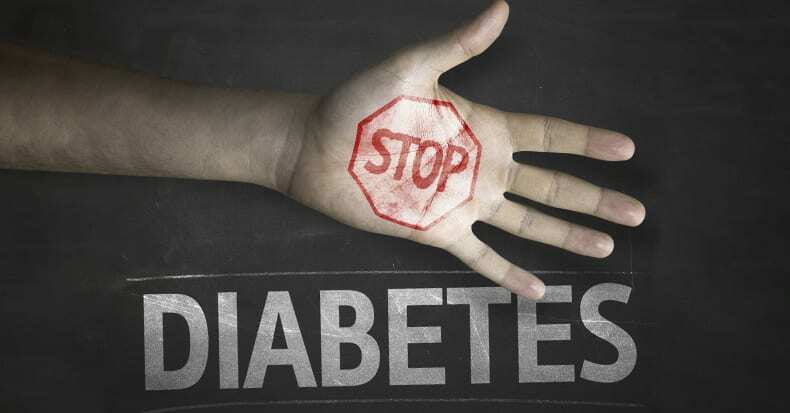 So, what can we as chiropractors do for those with diabetes? First, recognize that blood sugar must be controlled. There are many nutrients—herbal, vitamins, and minerals—that can help (see WebMD for a LONG list). Dietary management can include an anti-inflammatory diet, removing grains (gluten is BAD), and emphasizing fruits, vegetables, lean meats, and “good“ fats. The use of chromium (up to 1000 mcg/day) can have significant benefits in both prevention and treatment of diabetes with studies that date back to the 1950s! It’s considered safe for most children and adults and can even be used during pregnancy! Besides reducing high blood sugar, it can help lower “bad” cholesterol (and raise “good” cholesterol), fight depression, aid in weight loss, increase muscle mass, and decrease body fat! Some reports include athletic performance benefits and increased energy as well! Let your doctor of chiropractic help guide you in this process!